RECONDITIONING: This 2015 GMC Sierra 2500HD has had over $548 worth of Reconditioned & Upgraded items including but not limited to: ASE Certified Technicians performed a Comprehensive 88-point Inspection along with an Oil & Filter Change and a complete Interior & Exterior Detail, and New Park Assist Sensors. Here at R & B Car Company South Bend, we make the necessary repairs before they are put on the lot. We strive to give you a great valued car and take the guessing out of the equation. DEALER CONTACT INFO: Call R & B Car Company South Bend today at (800) 260-1833 TO SCHEDULE YOUR TEST DRIVE of this 2015 GMC Sierra 2500HD ! R & B Car Company South Bend. You can also visit us at, 3811 S Michigan St. South Bend IN, 46614 to check it out in person! MECHANICAL FEATURES: Scores 0.0 Highway MPG and 0.0 City MPG! 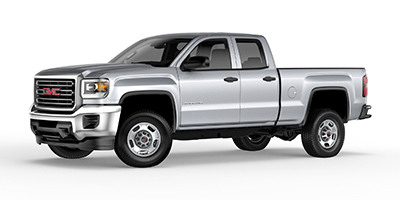 This GMC Sierra 2500HD comes Factory equipped with an impressive engine, an transmission. Wheels: Wheels, 20" (50.8 Cm) Forged Polished Aluminum / Includes 18" X 8" (45.7 Cm X 20.3 Cm) Steel Spare Wheel. Seat Type: Seats, Front Cloth Bucket / With (ka1) Heated Seat Cushions And Seat Backs. Includes 10-way Power Driver And 6-way Power Front Passenger Seat Adjusters, Including Driver/front Passenger Power Recline And Driver/front Passenger Power Lumbar. Also Includes Adjustable Head Restraints, (d07) Floor Console And Storage Pockets. Seat Type: Seats, Front 40/20/40 Split-bench, 3-passenger. / Includes Driver And Front Passenger Recline With Outboard Head Restraints And Center Fold-down Armrest With Storage. Includes Manually Adjustable Driver Lumbar, Lockable Storage Compartment In Seat Cushion, And Storage Pockets. Additional Equipment: All-terrain Hd Package / Includes (qgm) Lt265/70r18e All-terrain, Blackwall Tires, (ud7) Rear Park Assist, (z71) Off-road Suspension Package, (nzz) Underbody Shield, (t3u) Fog Lamps, All-terrain Grille Insert With Chrome Grille Surround, (vb5) Front Body-color Bumper, (vt5) Rear Body-color Bumper With Cornerstep, Sill Plates And (b58) Carpeted Floor Mats, Includes (a95) Front Cloth Bucket Seats, (dl3) Outside Power-adjustable Mirrors With (dp9) Chrome Mirror Caps, (dd8) Auto-dimming Inside Rearview Mirror, (b85) Chrome Side Moldings, Halogen Projector Headlamps With Led Signature, (e20) Chrome Door Handles And Chrome Mirror Caps And (pyr) 18" Chromed Aluminum Wheels. 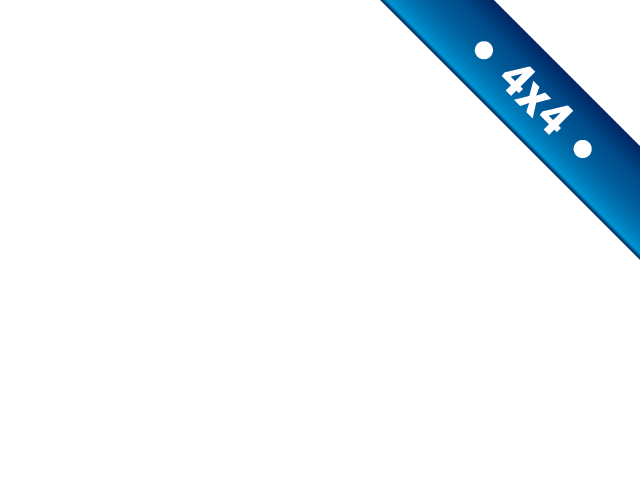 Additional Equipment: Increased Front Gawr / Provides A Higher Fgawr For Hyrail And Bucket Truck Applications. Provides A 4800 Lb. Gawr On C25903 And 5200 Lb. Gawr On K25903, C/k25753, C25953, C/k25743, C25943 And 5600 Lb. Gawr On K25953 Or K25943 . Note: No More Than 1100 Lb Of Weight Added Forward Of Front Axle Centerline. Additional Equipment: Paints, Solid, Woodland Green / All Normally Body Colored Non-sheet Metal Parts Will Be Black. May Require Extended Lead Time. Door Handles And Mirrors Will Be Grain Black. Front Filler Panel Will Be Gloss Black. Deletes Standard/packaged Body Side Moldings. Additional Equipment: Special Paint, Solid, One Color / All Normally Body Colored Non-sheet Metal Parts Will Be Black. May Require Extended Lead Time. Door Handles And Mirrors Will Be Grain Black. Front Filler Panel Will Be Gloss Black. Deletes Standard/packaged Body Side Moldings. Additional Equipment: Paints, Solid, Doeskin Tan / All Normally Body Colored Non-sheet Metal Parts Will Be Black. May Require Extended Lead Time. Door Handles And Mirrors Will Be Grain Black. Front Filler Panel Will Be Gloss Black. Deletes Standard/packaged Body Side Moldings. Additional Equipment: Paints, Solid, Wheatland Yellow / All Normally Body Colored Non-sheet Metal Parts Will Be Black. May Require Extended Lead Time. Door Handles And Mirrors Will Be Grain Black. Front Filler Panel Will Be Gloss Black. Deletes Standard/packaged Body Side Moldings. Additional Equipment: Paints, Solid, Tangier Orange / All Normally Body Colored Non-sheet Metal Parts Will Be Black. May Require Extended Lead Time. Door Handles And Mirrors Will Be Grain Black. Front Filler Panel Will Be Gloss Black. Deletes Standard/packaged Body Side Moldings. Ship Thru Codes: Ship Thru, Produced In Ft. Wayne Assembly And Shipped To Monroe Truck Equipment, Flint Michigan, And Returned To Flint Assembly.